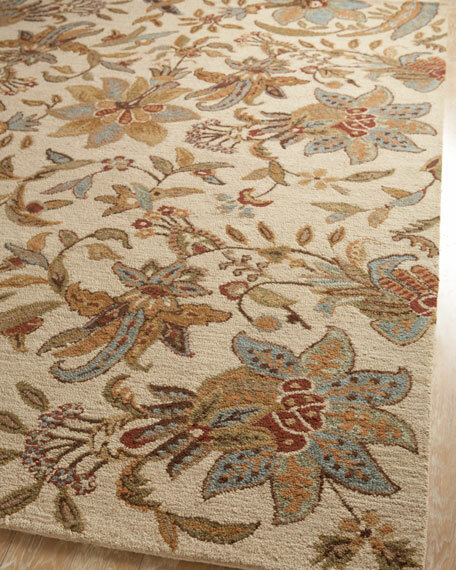 Hand-tufted wool rug features all-looped pile for added texture and an oversized floral pattern. Imported. 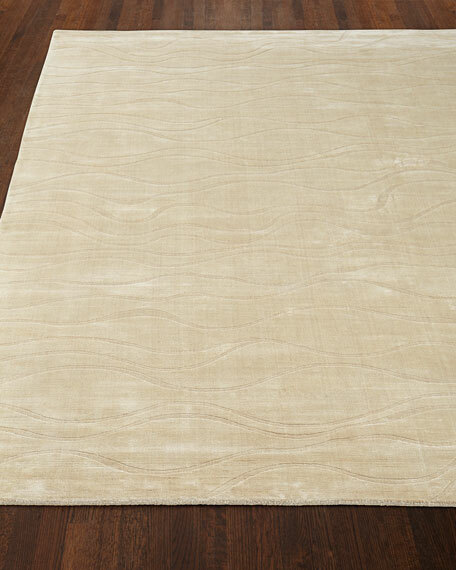 Hand-loomed rug.Wool.All rugs have a "light" side and a "dark" side, depending on the viewing angle. The photos at left sow this rug from both sides.Size is approximate.Imported. 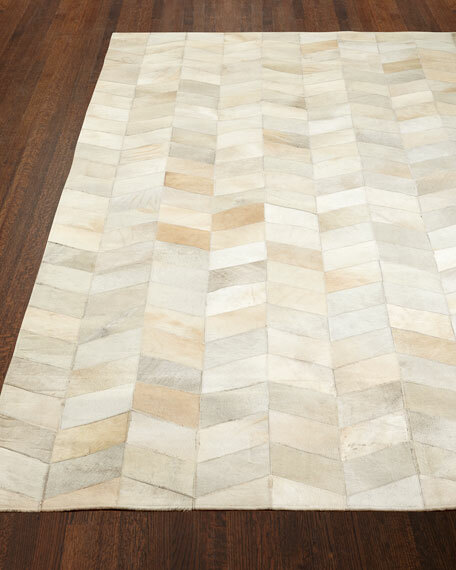 Hand-loomed runner.Wool.All rugs have a "light" side and a "dark" side, depending on the viewing angle. The photos at left sow this rug from both sides.Size is approximate.Imported.